There had been a chapter in our lives where monetary concerns were like big dark clouds looming over our heads. And we tried our hardest to keep up with the expenses but to no avail. And for someone who has consistent flaws in his credit history; traditional bank loans are probably the last institutions that can aid you in your piled-up expenses. A revolutionary way of getting financial aid without the hassle of going to a brick-and-mortar bank, sitting under the watchful scrutiny of loan officers, and still going home with – nada, nil, zero money. Fast loans online are the masses’ go-to when it comes to getting their monetary fix in times of financial crisis. It goes without saying that it’s always better to look before you leap. So before you dive head first into quick loans, take a look at the 7 advantages of borrowing quick loans online. Some people take this factor a notch higher. Compared to traditional bank loans, online quick loans give borrowers a sense of discretion. Borrowing money is a personal matter and some borrowers don’t want to be seen by their family and friends trying their luck in the bank. With quick loans, you can just go through the entire process right at the comfort of your own home. If a bunch of paperwork rankles you especially in times of need, then these quick loans will definitely make your life easier. Because some of these quick loans online are considered as unsecured loans, meaning, no collateral is needed to apply; the loan application procedures are extremely easy and simple especially if you’re tech-savvy. Although these may vary, some general eligibility requirements for quick loans online may include age criteria, employment stability, credit score, financial situation, and a good reference. As we’ve mentioned, the process is extremely easy and simple. The initial steps could involve logging into their website, checking all the information pertaining to the loan amount and terms, and filling in a loan application form online. You will need to input some vital information like full name, address, contact details, employment information, current salary, average expenditure, and a local bank account. All these could take a minimum of five minutes or 10 minutes max. 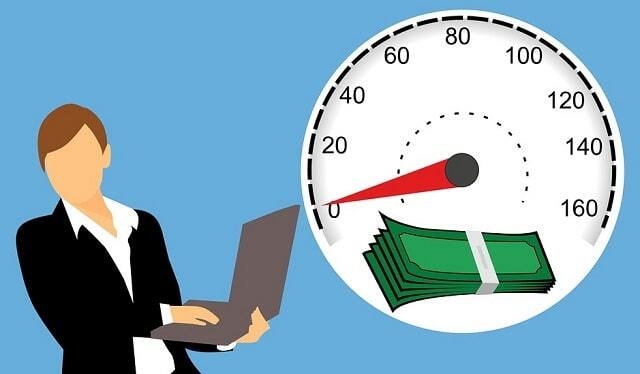 In addition, because quick loans have a speedy procedure; these are a quick and convenient answer to financial emergencies like overdue utility bills, hospital confinement, funeral expenses, vehicle repairs, home renovations or whatever monetary trouble you are in. Although each quick loan has different requirement and payment terms; borrowers have turned to quick loans because of one imperative reason – lower interest rates. Because your loans are personalized according to your eligibility and application, interest rates can come out lower compared to traditional bank loans. Once again, we’d like to clarify that these online quick loans vary in loan amounts, rates, and terms so research before you choose one. Unlike conventional bank loans, borrowing from quick loans online has no limits when it comes to “office hours” even on bank holidays. Although your filled-up application form might not be scrutinized right then and there, you can have a peace of mind knowing you’re on your way to hopefully get financial help. In this day and age, everything is almost always done with the help of the internet. With quick loans, you have the power to browse through different quick loan services online and even have the privilege to poke your nose in positive and negative online reviews. This way, you know you’ve been a smart borrower by picking the best quick loan service through research. In almost all cases, you will be required to open an account in the quick loan website. Your account will contain all your transactions, payments, balances, and the like. It’s easy to keep track of your loan when your gadgets are at hand. Quick loans online have given borrowers and businesses, with minor and major financial problems, a new hope. There is no need to search high and low for a bank who can lend you some cash, you can have it in a few clicks of a button. I hope you enjoyed this blog post about the 7 advantages of borrowing quick loans online for fast cash. Interested in more articles about business and personal loans?